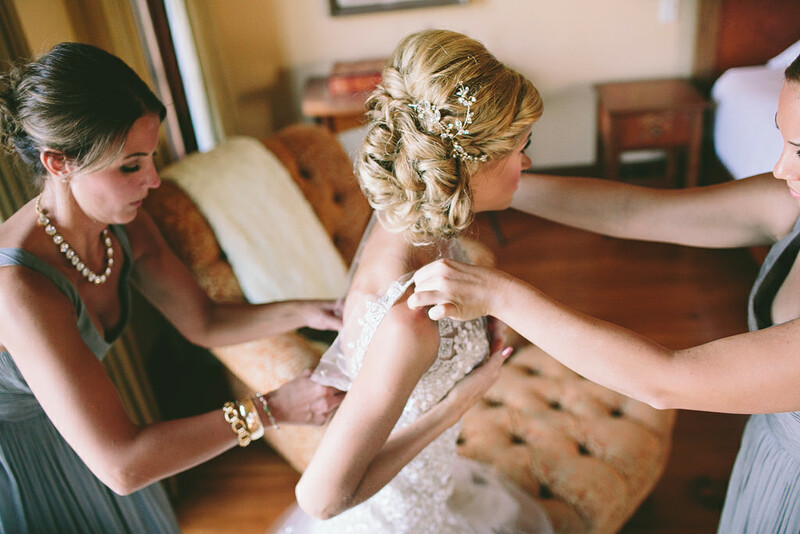 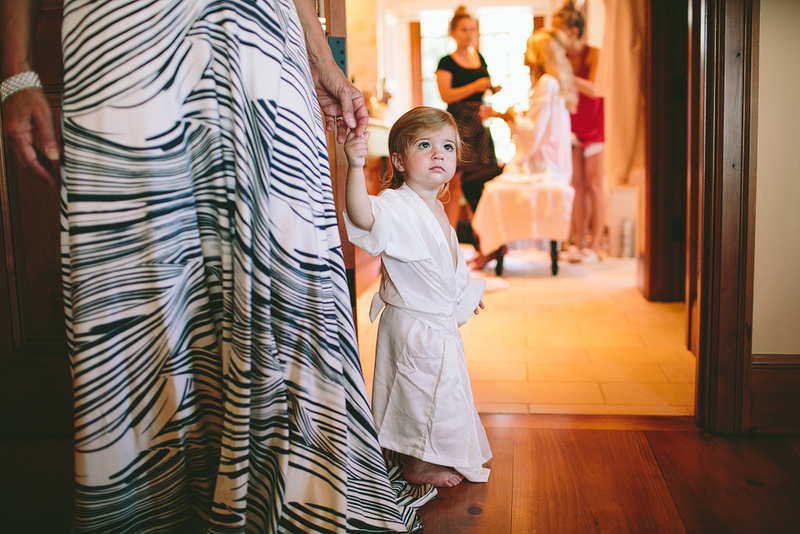 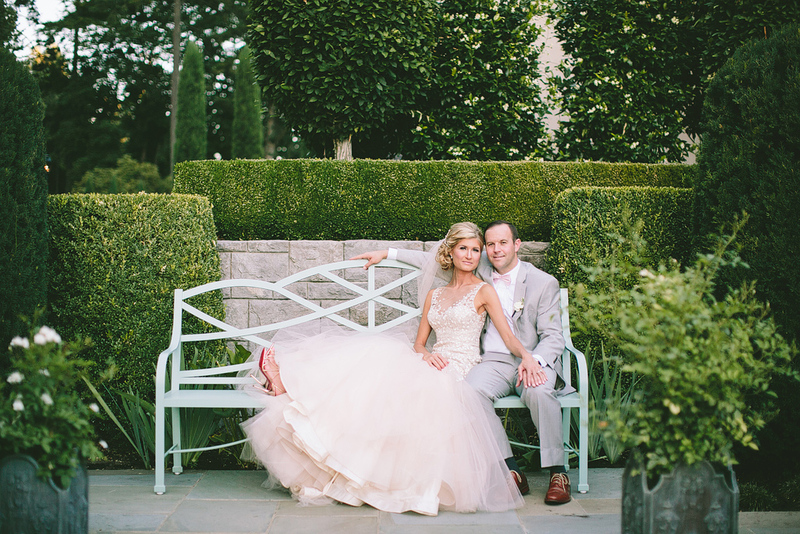 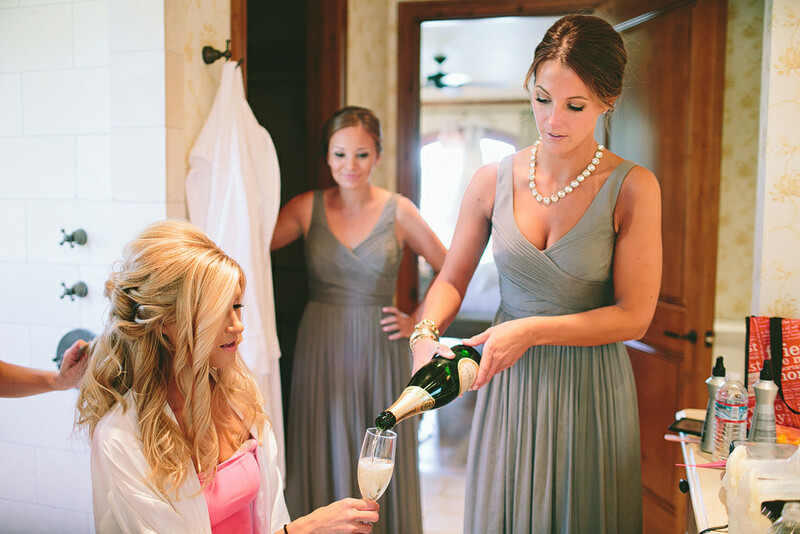 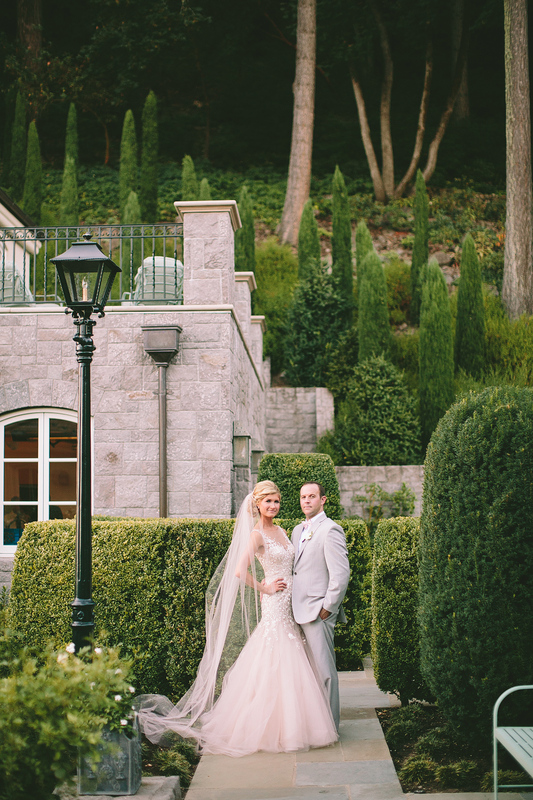 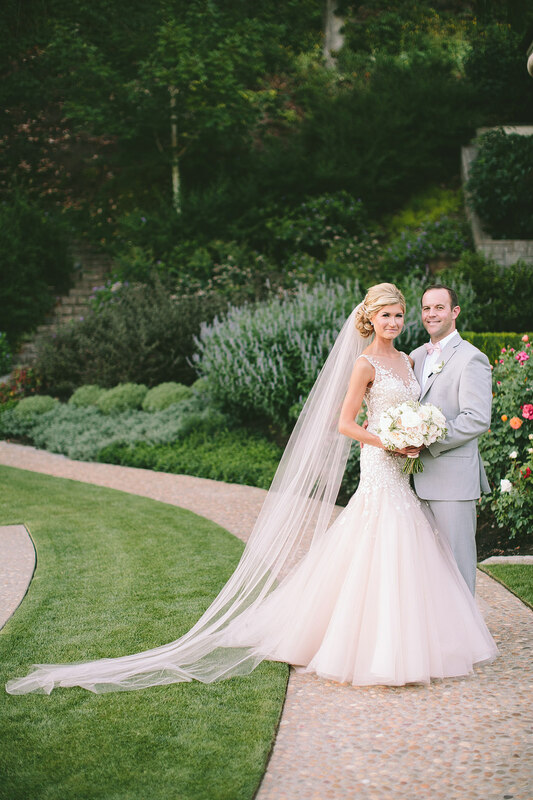 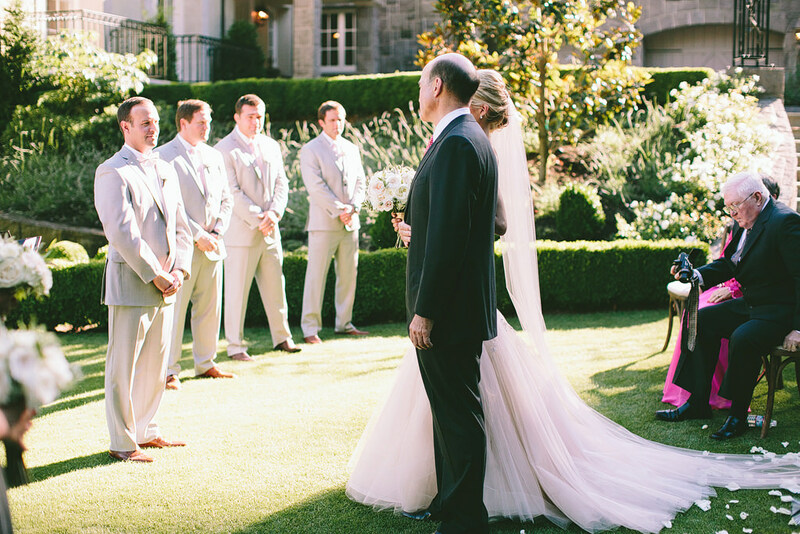 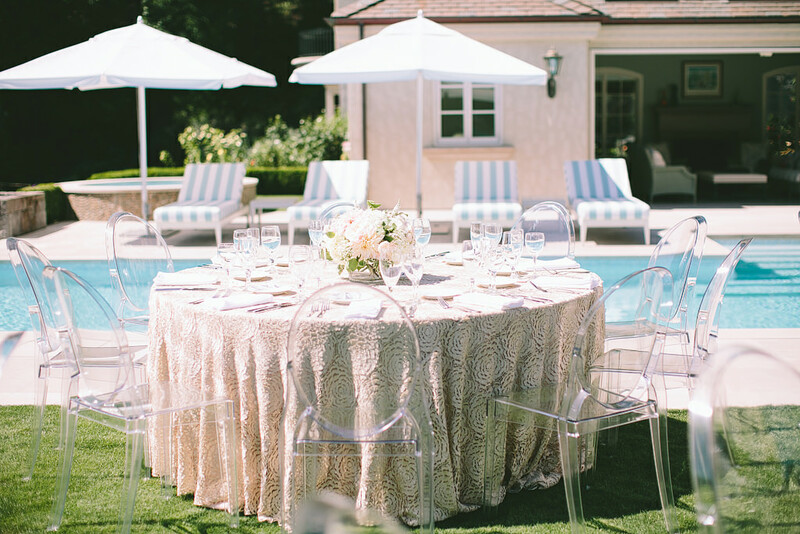 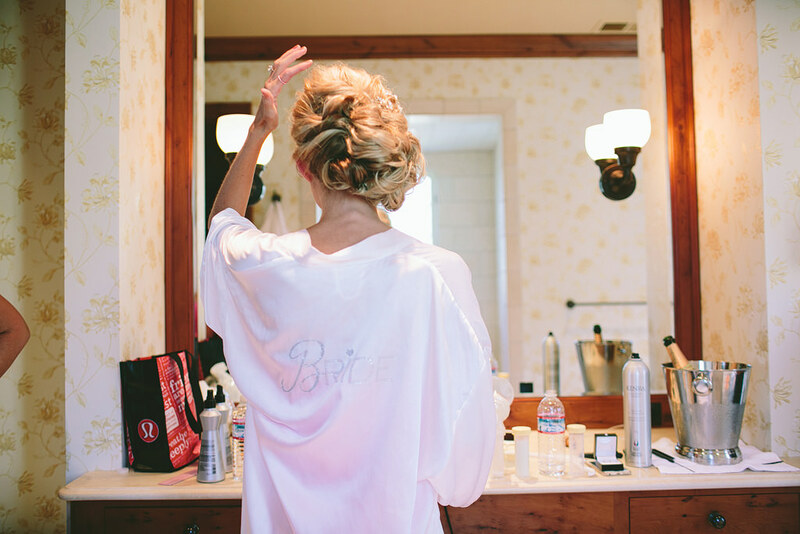 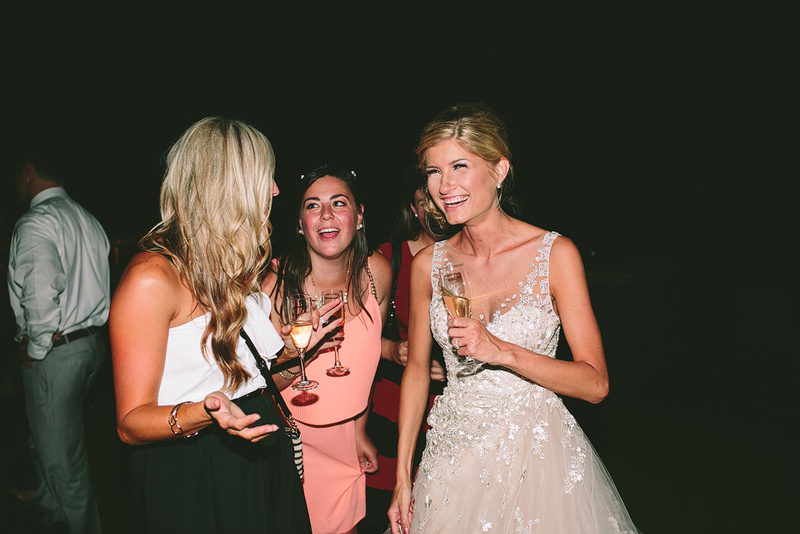 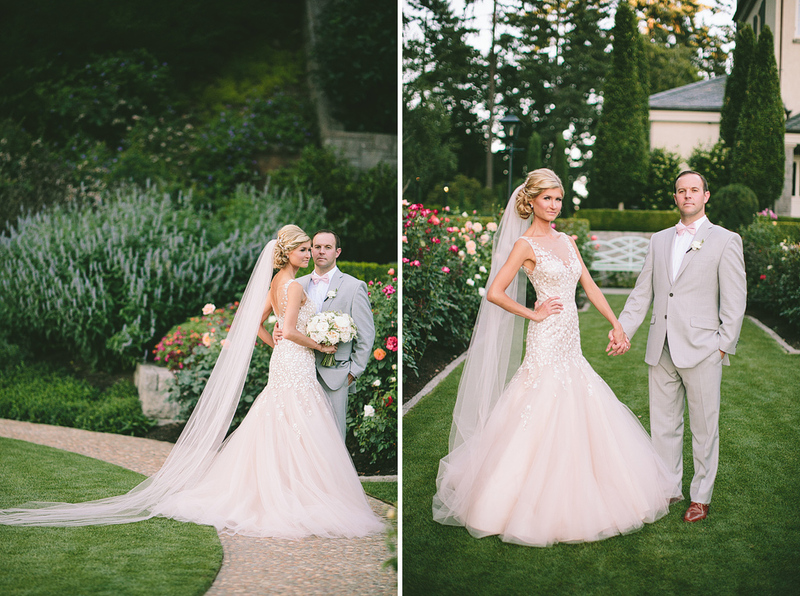 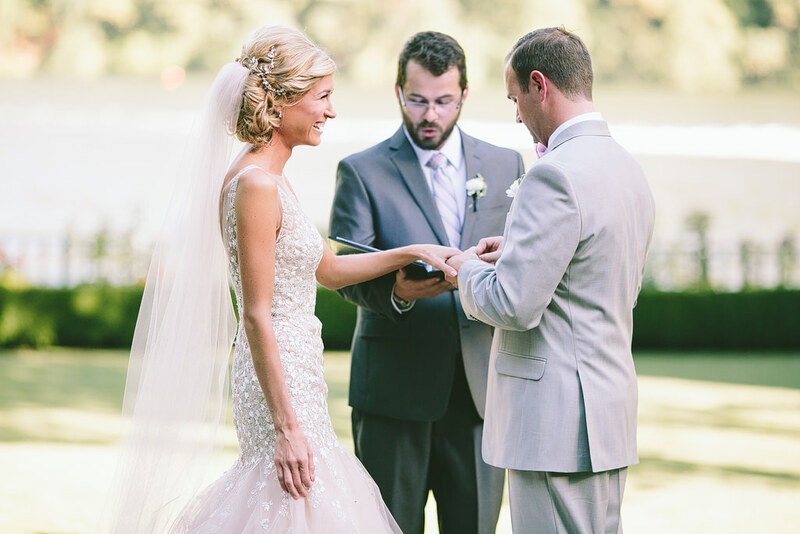 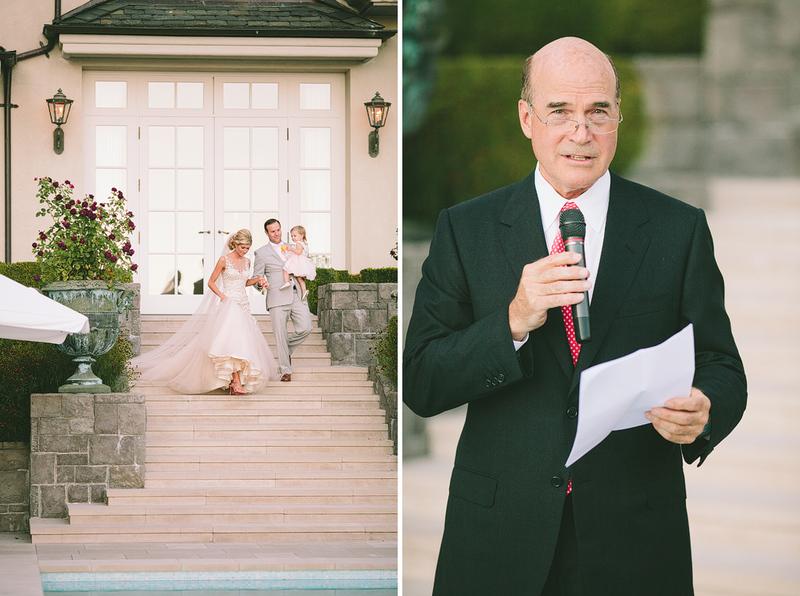 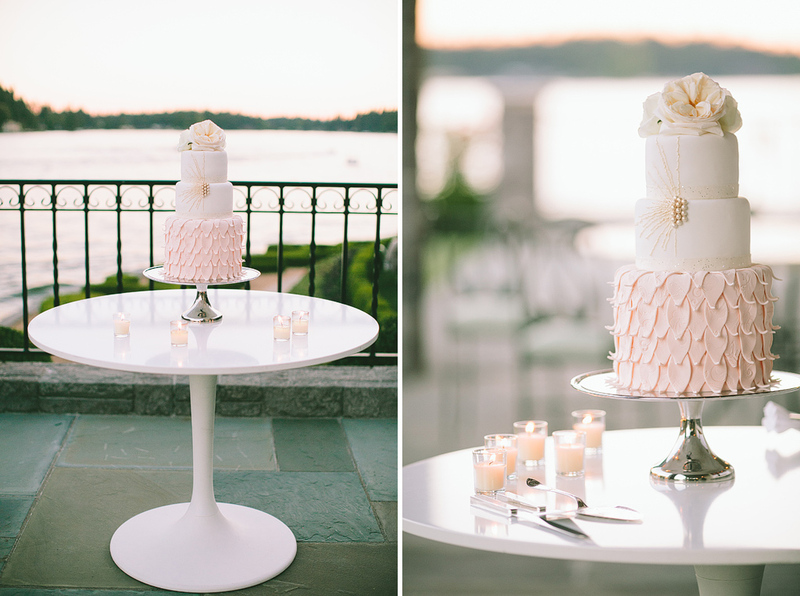 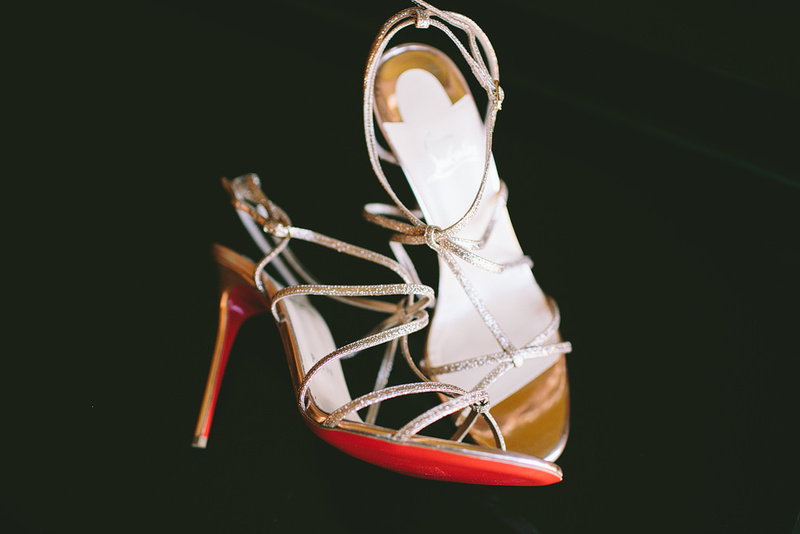 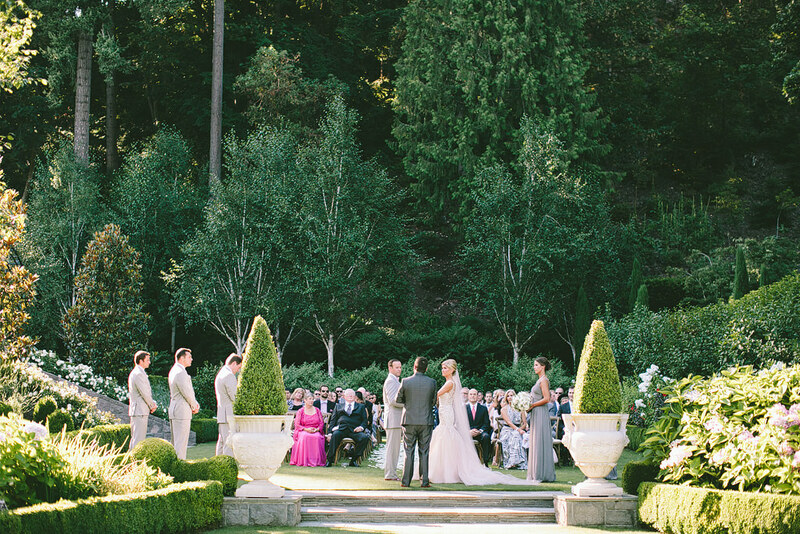 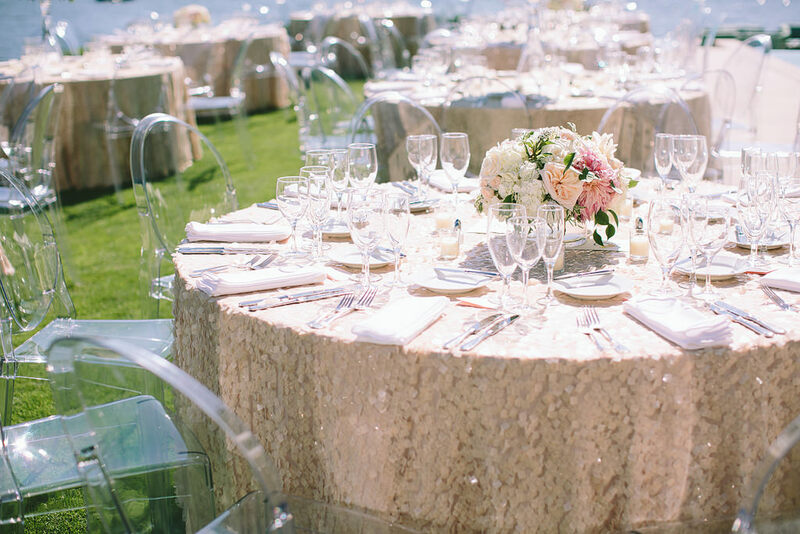 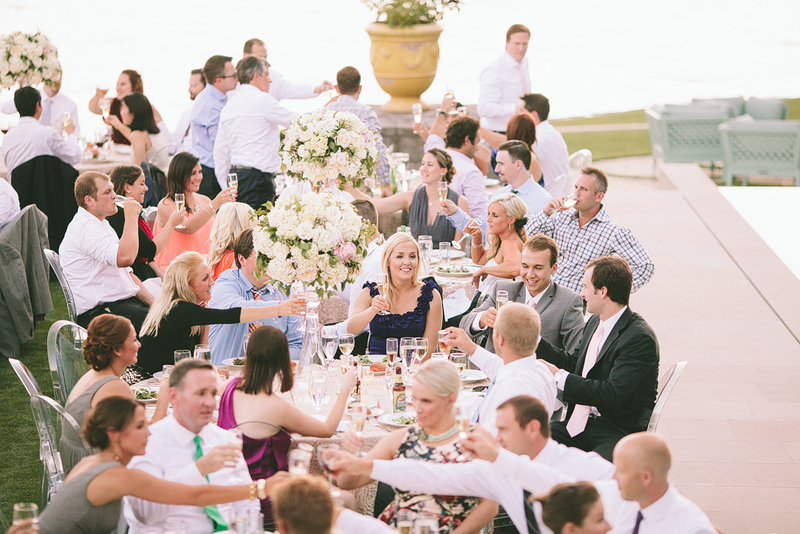 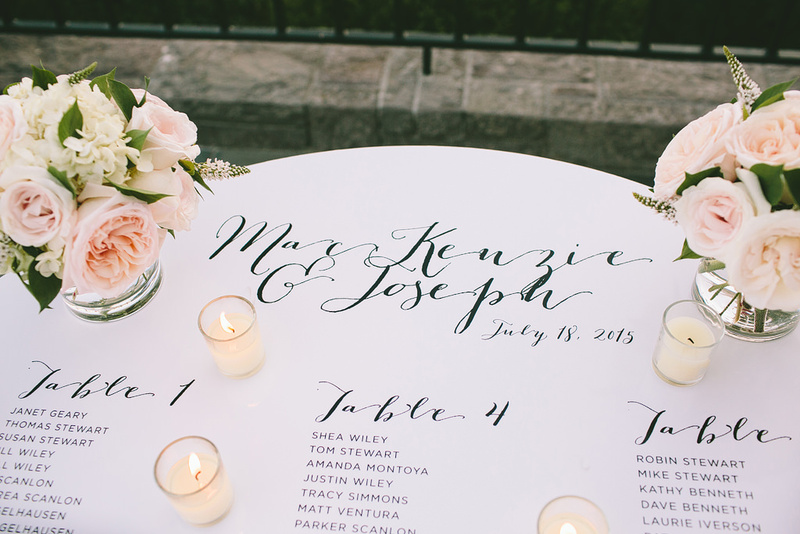 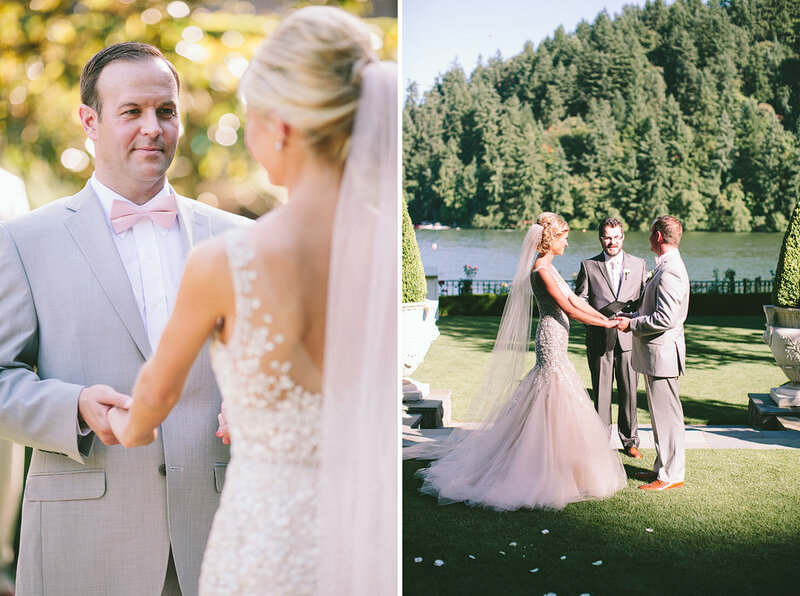 MacKenzie and Joseph’s glamorous blush wedding was incredible! 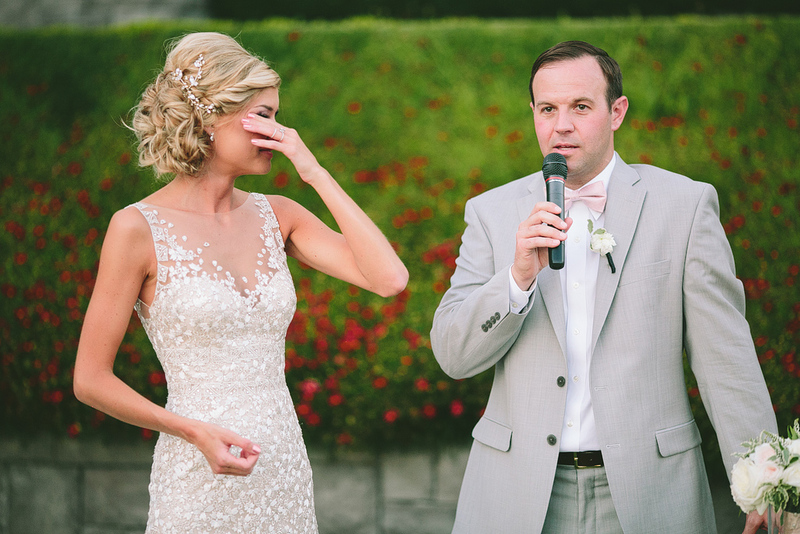 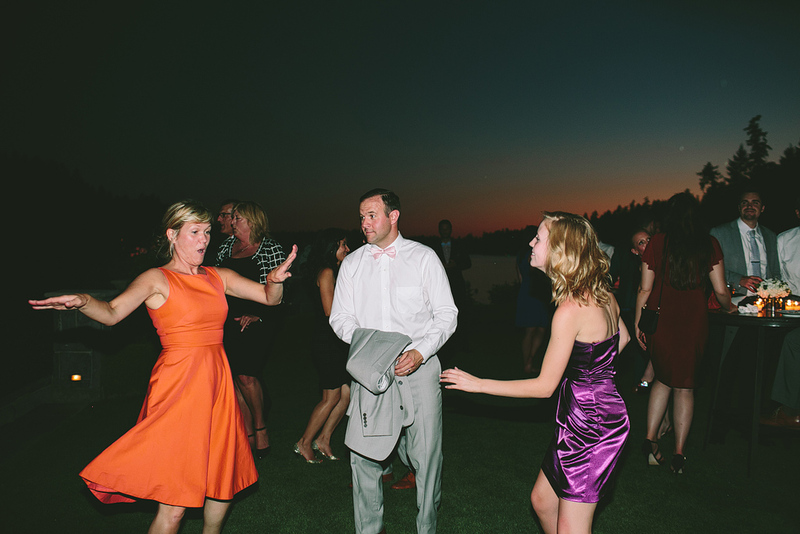 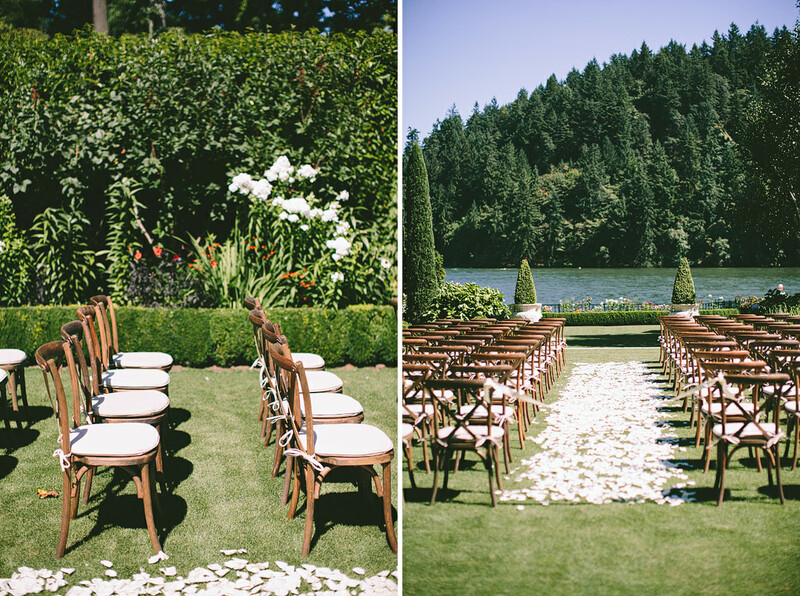 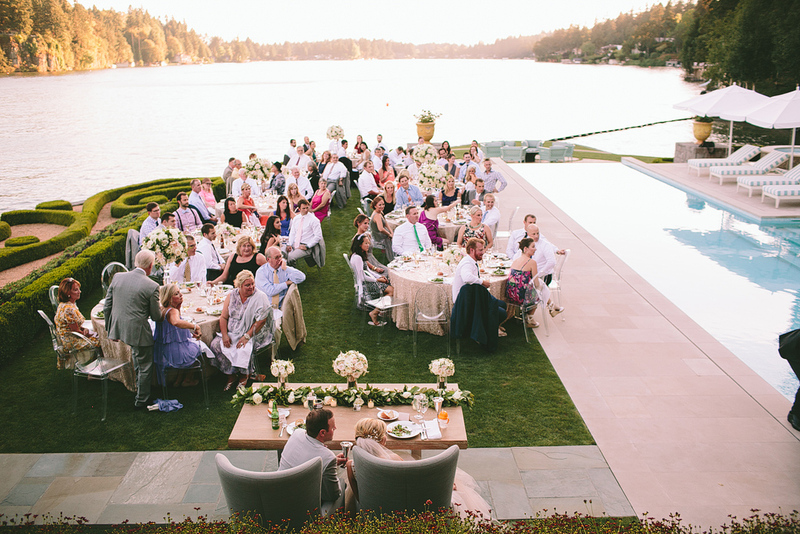 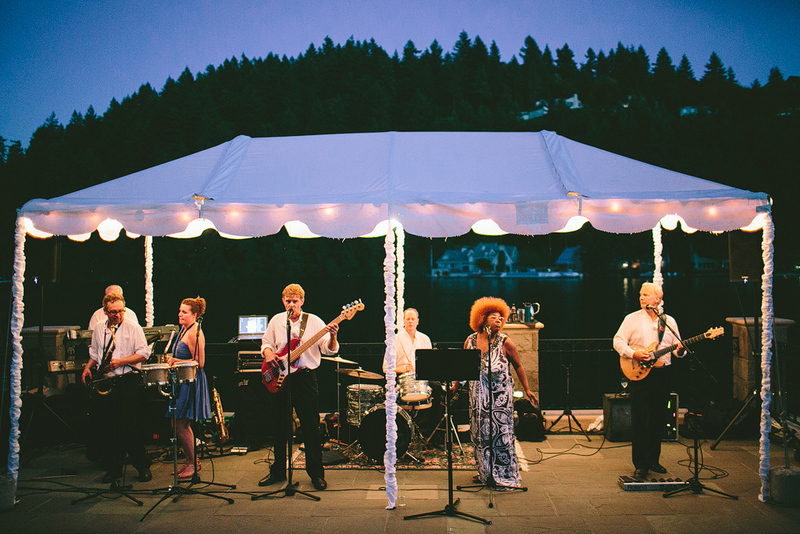 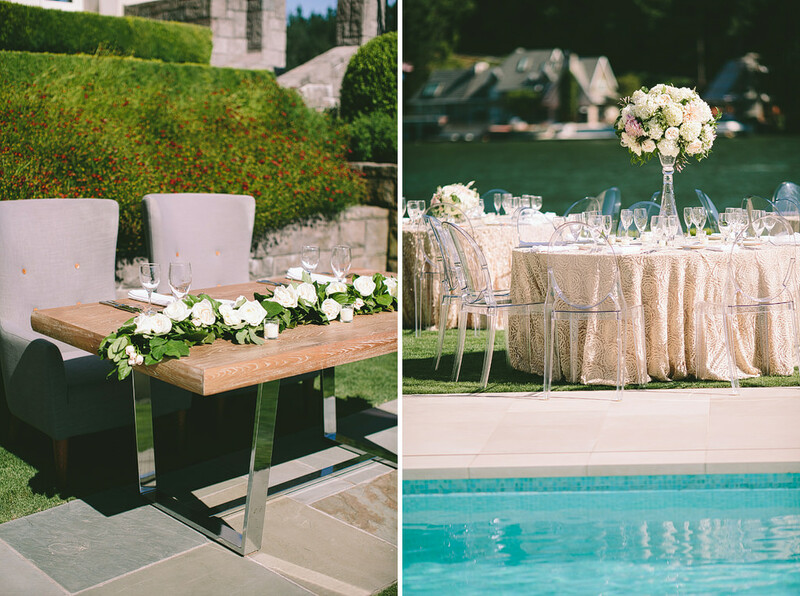 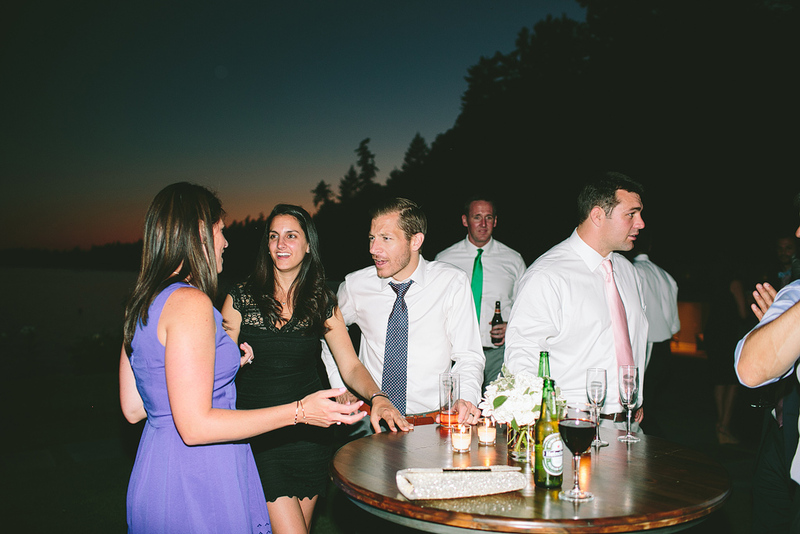 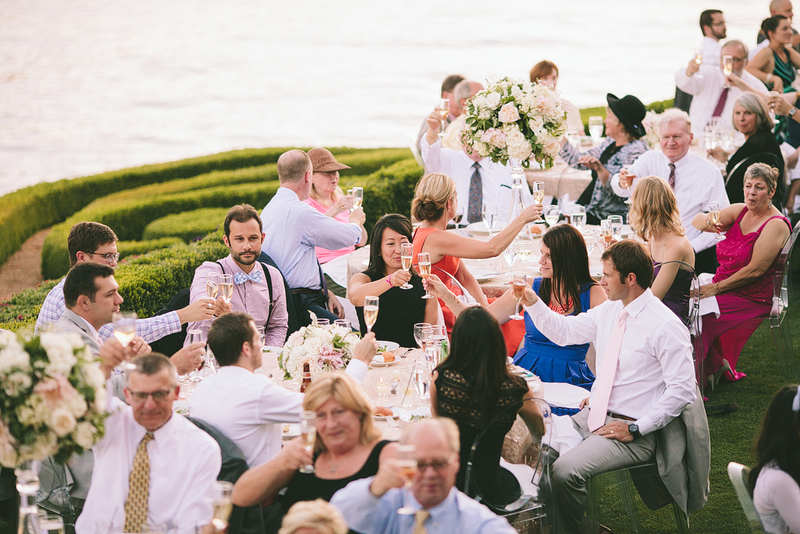 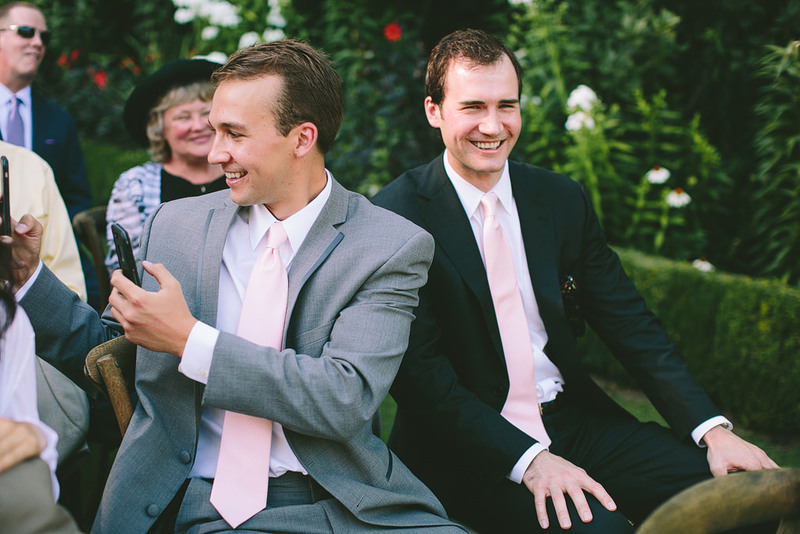 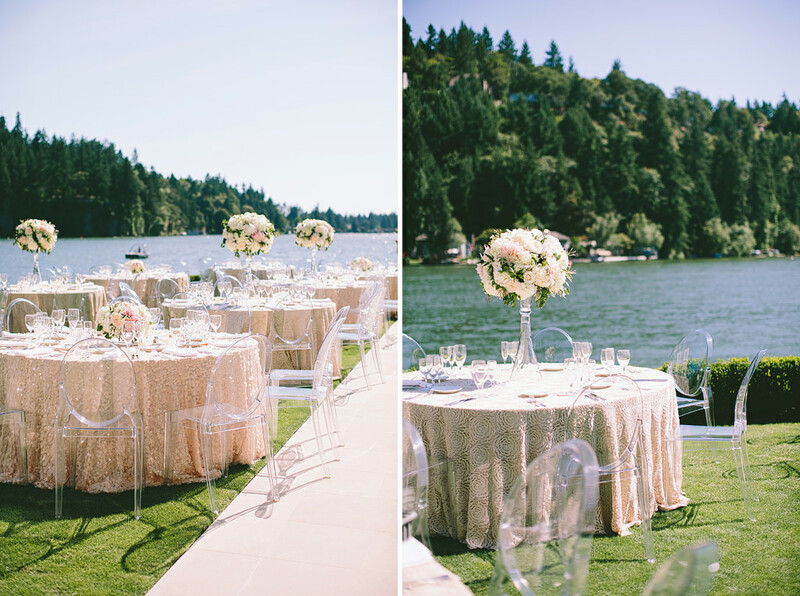 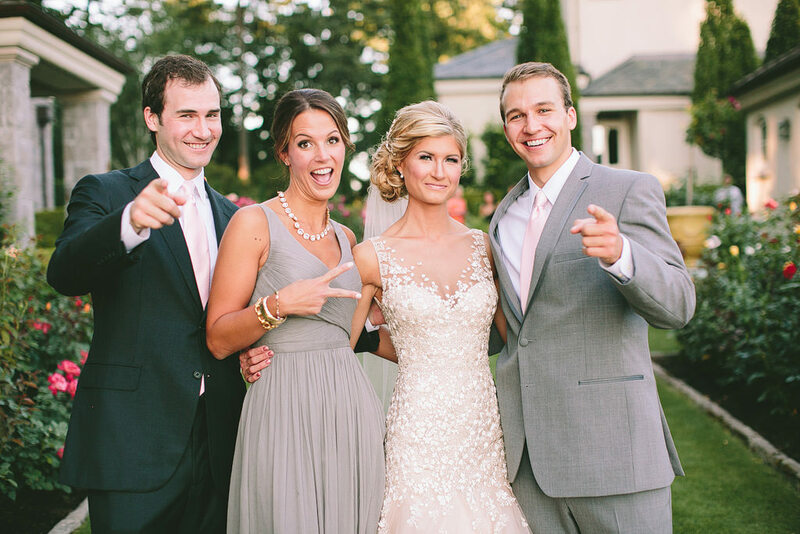 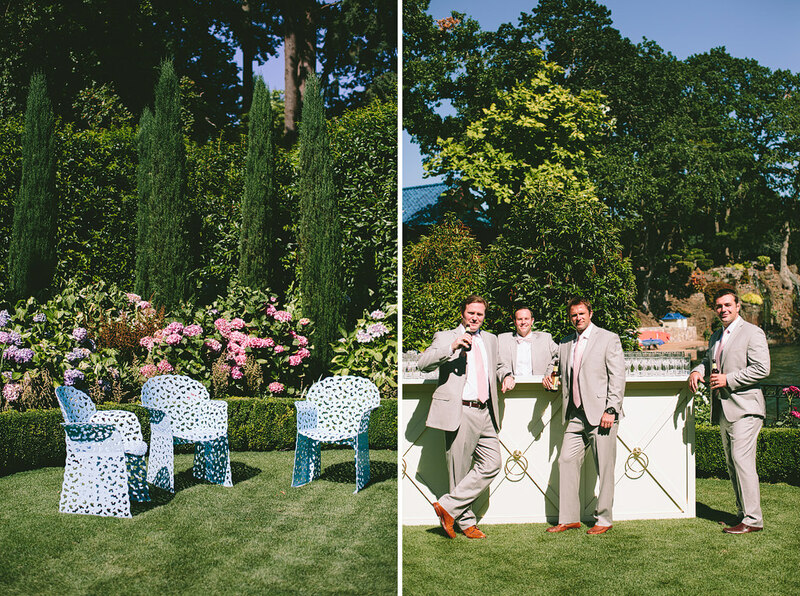 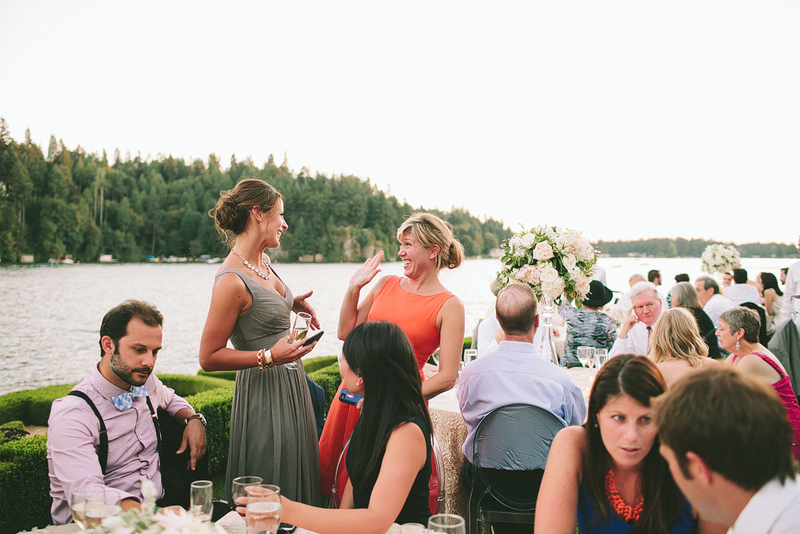 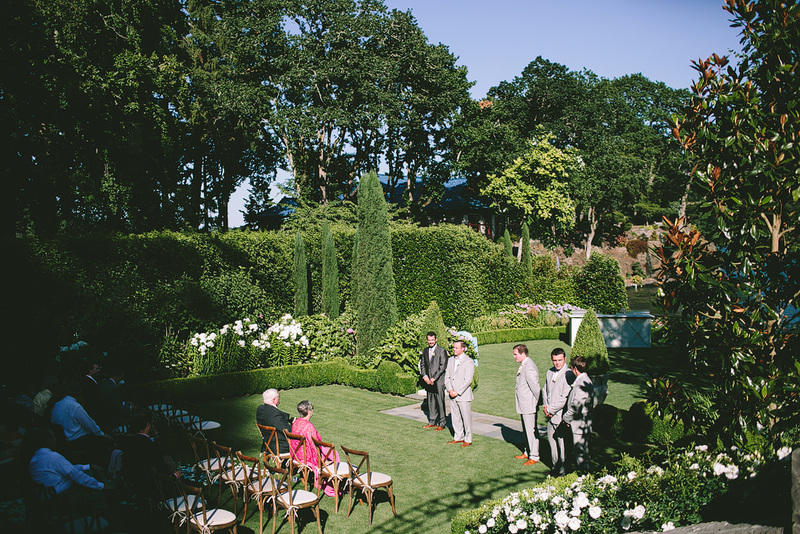 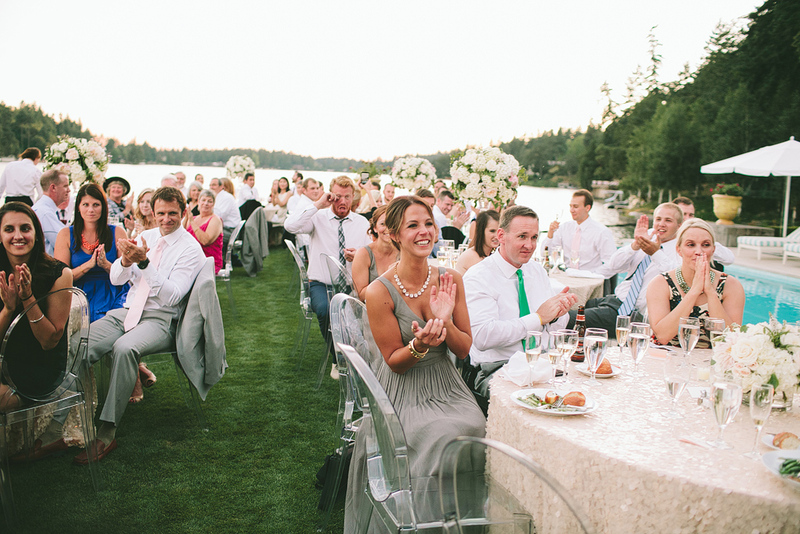 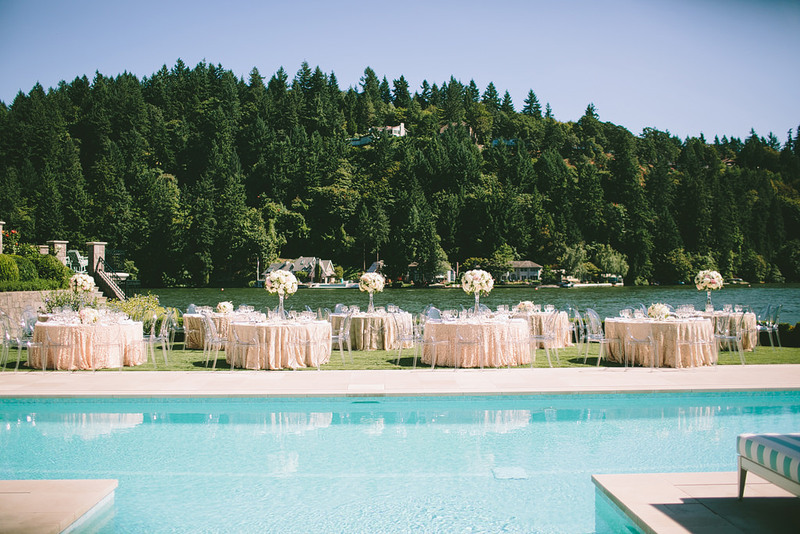 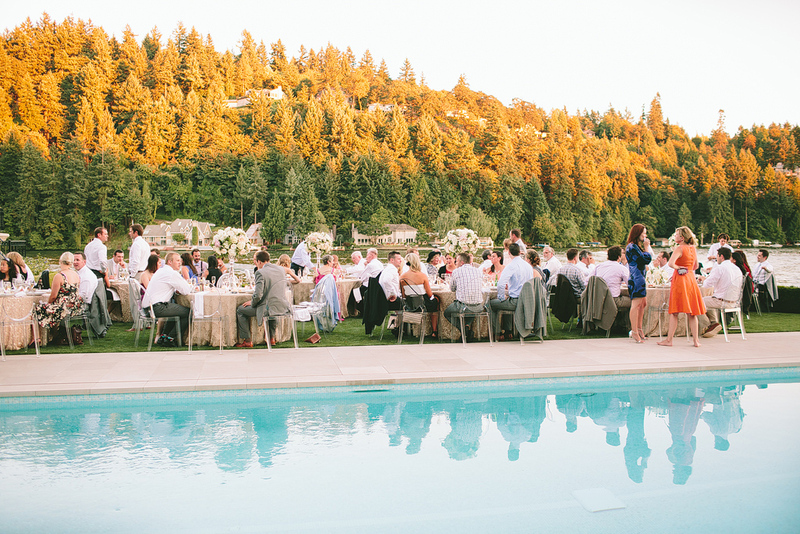 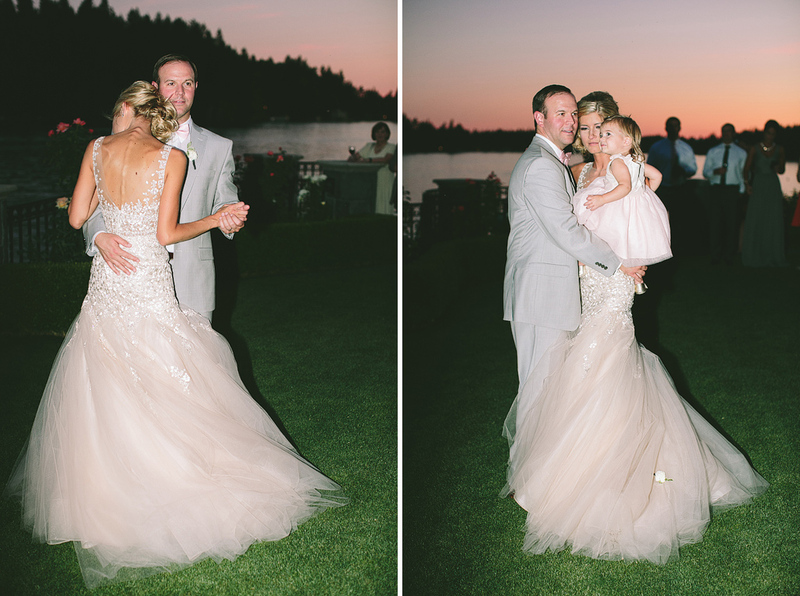 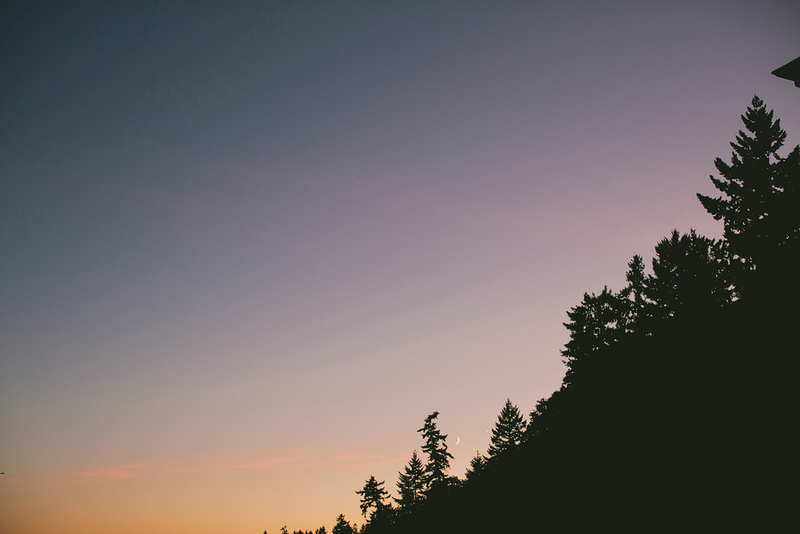 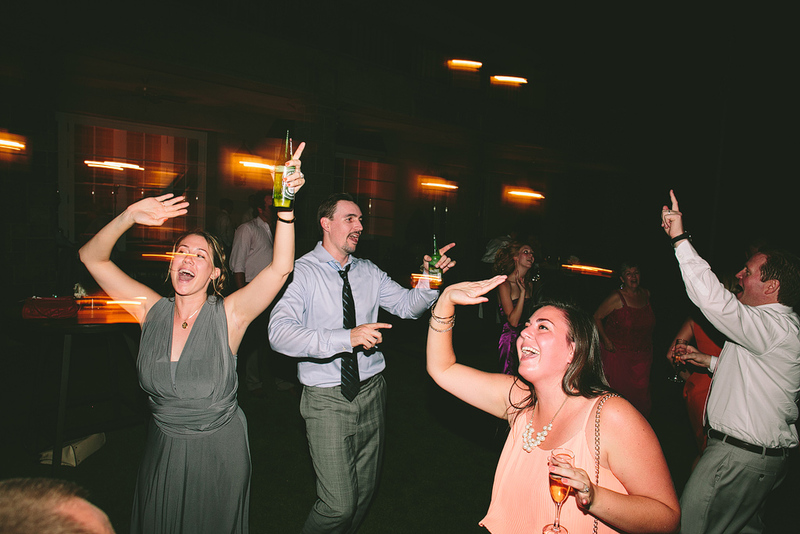 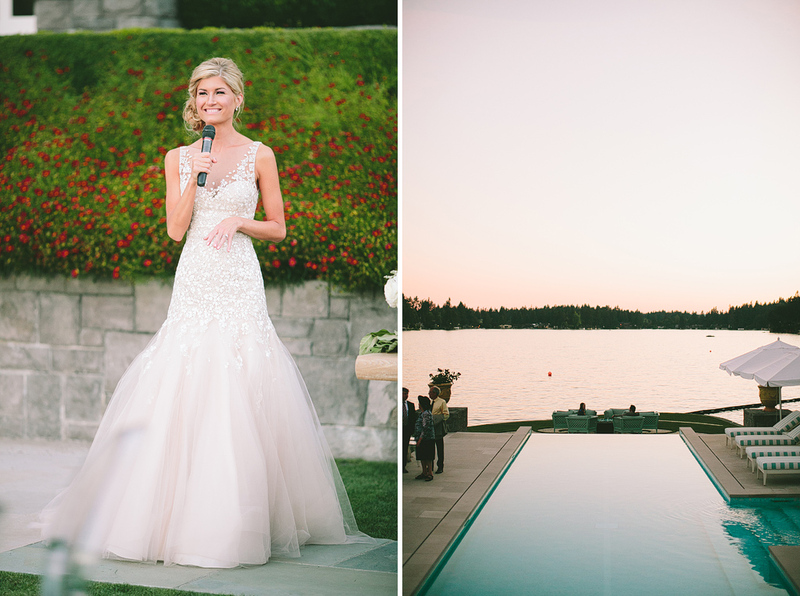 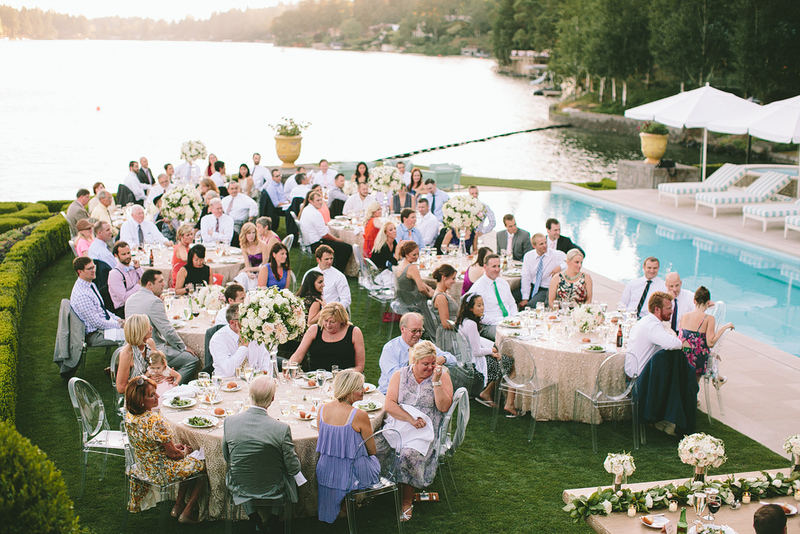 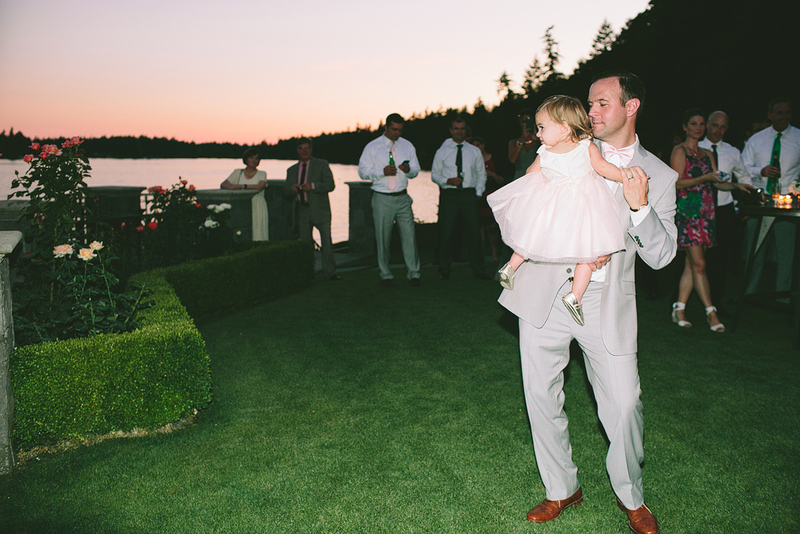 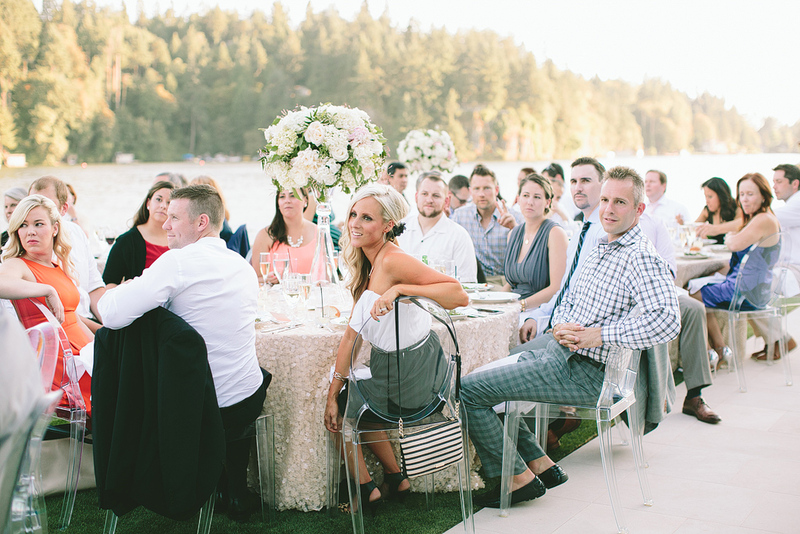 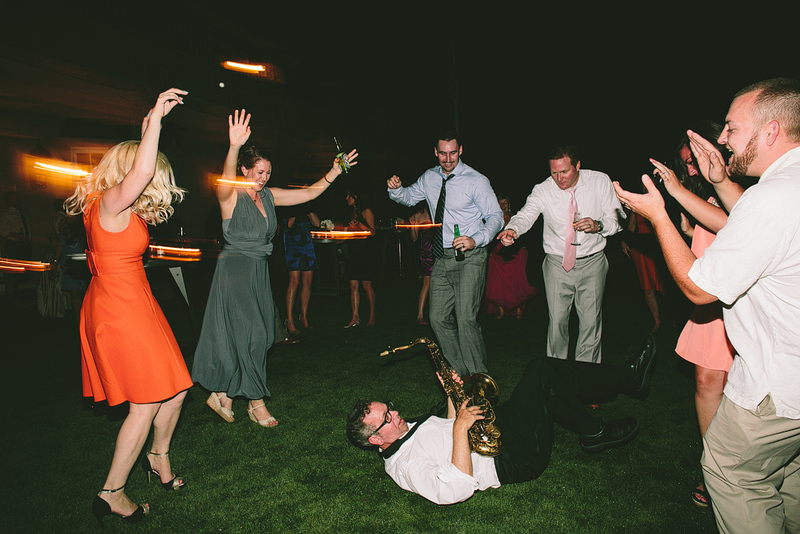 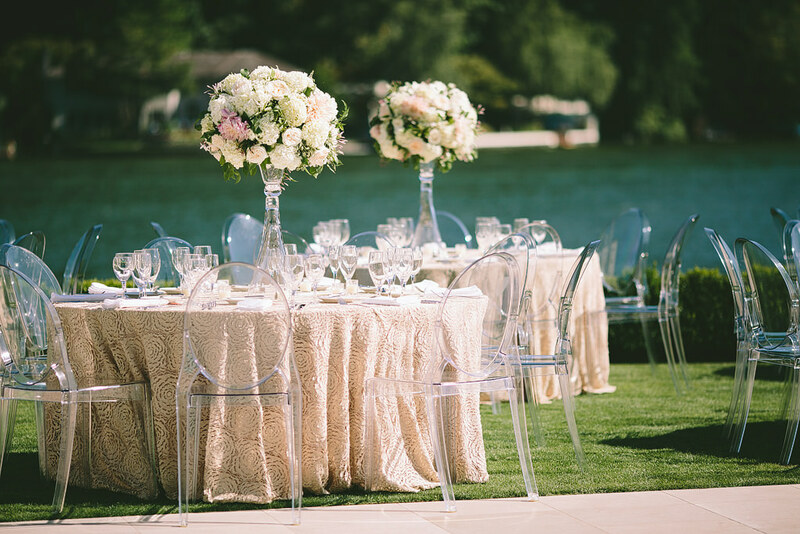 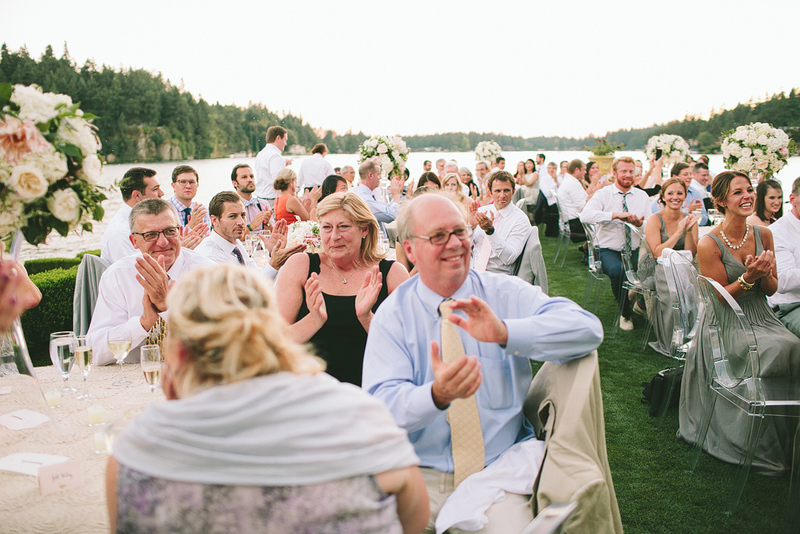 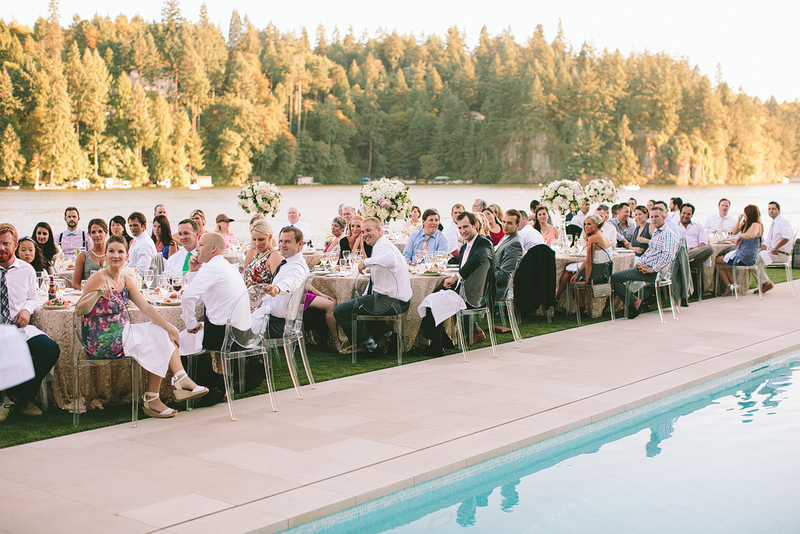 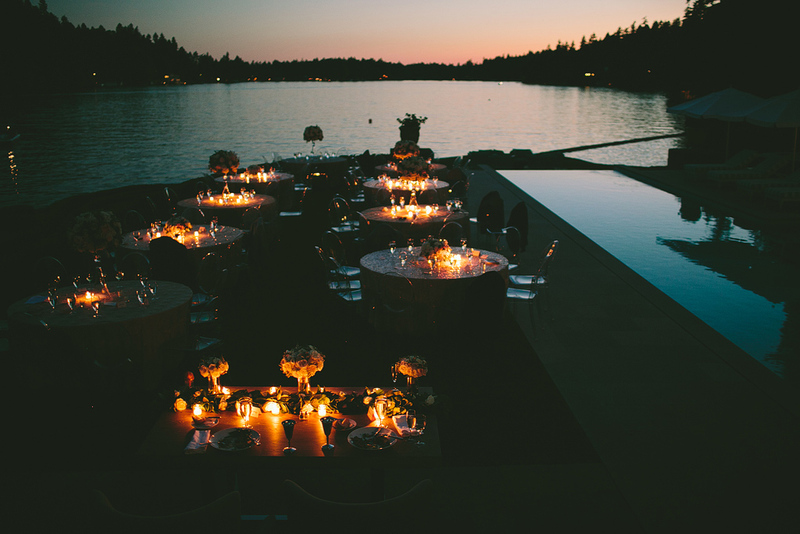 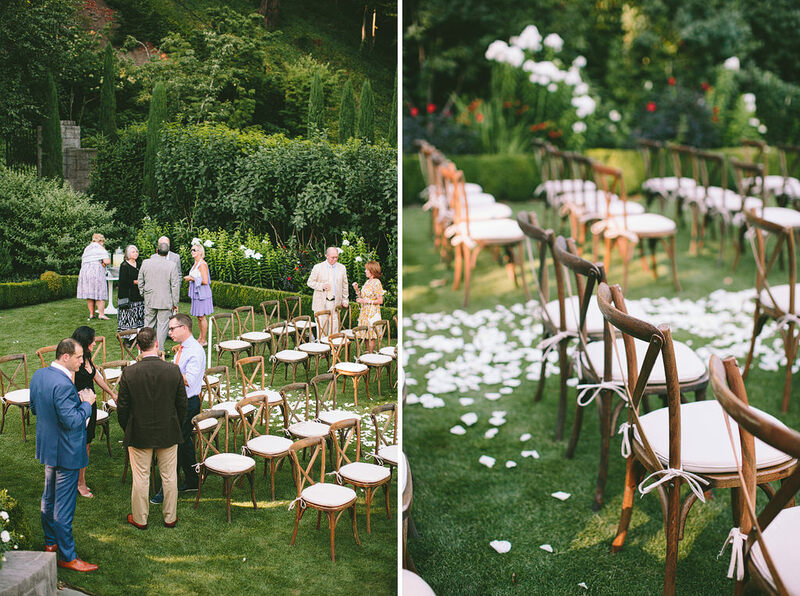 They got married at a private residence on the lake in Lake Oswego. 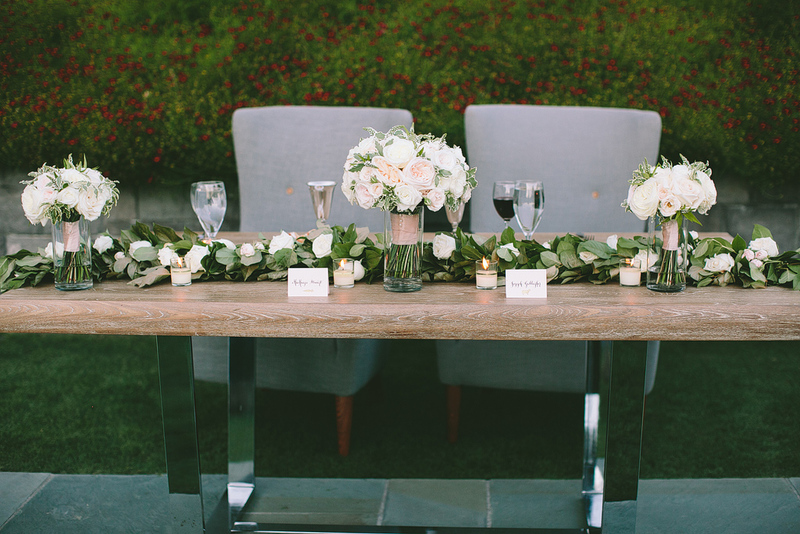 Every detail was perfect, with special thanks to Rose Bean. 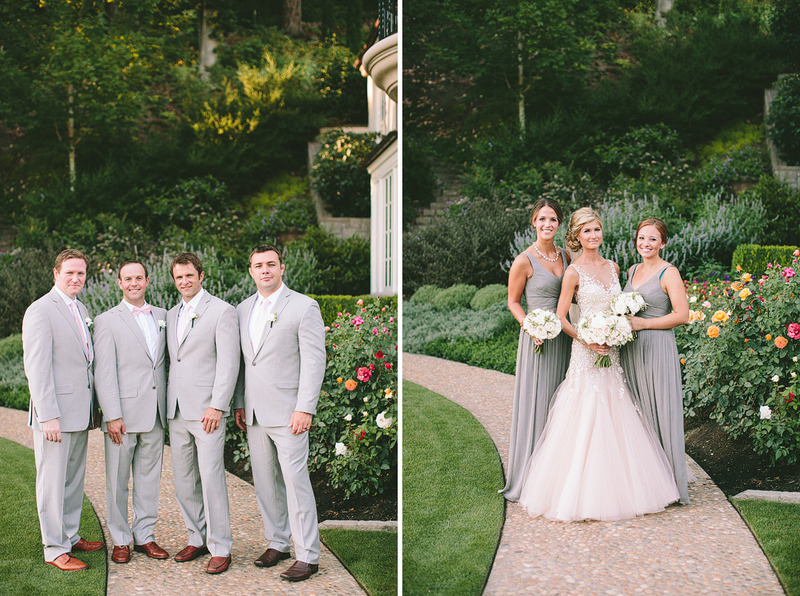 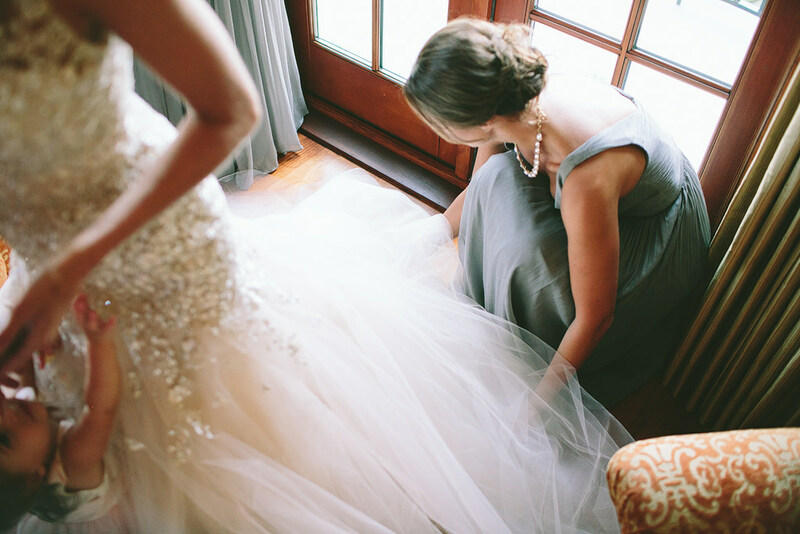 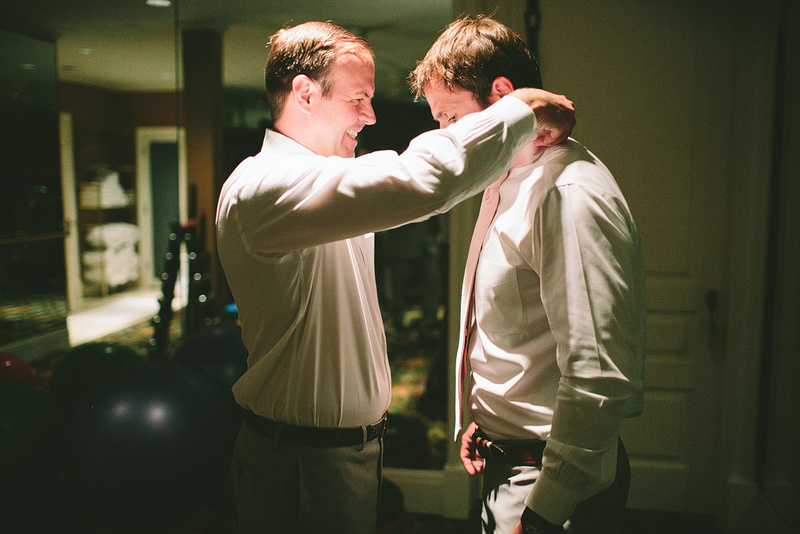 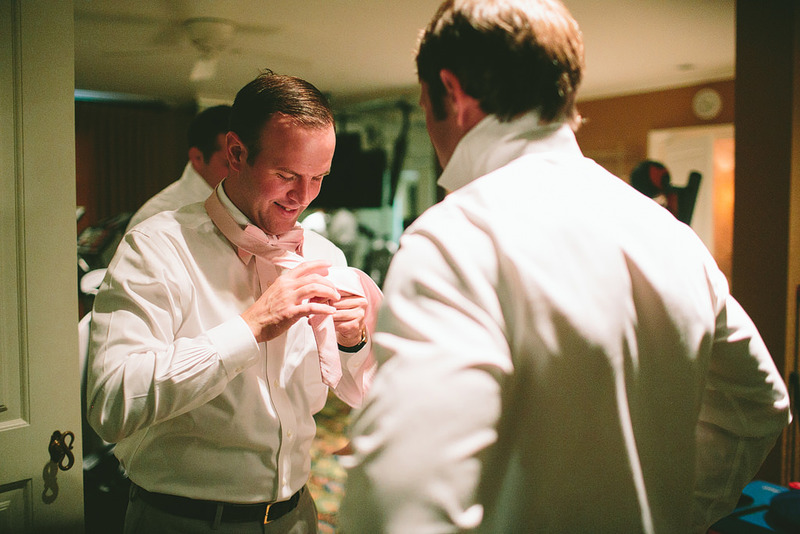 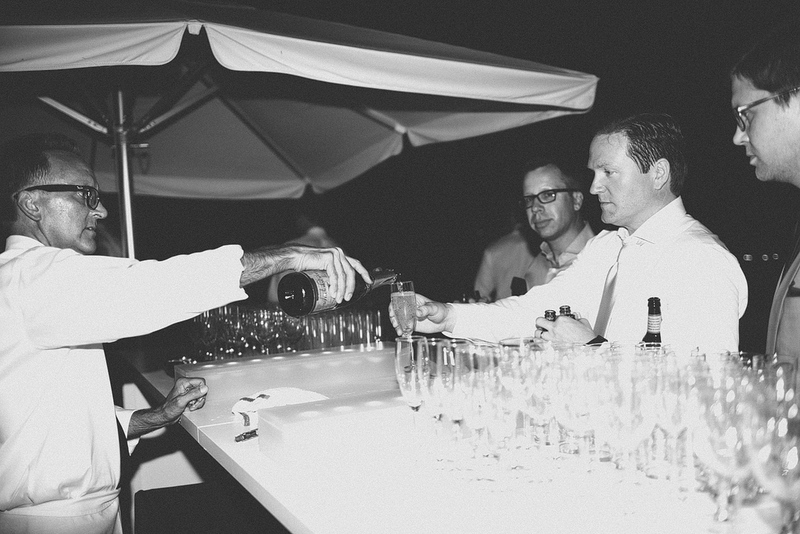 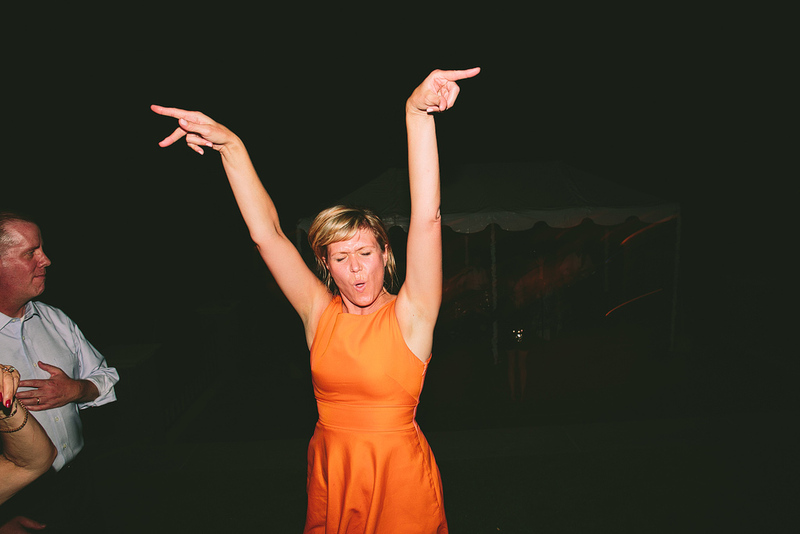 They helped plan and decorate their wedding down to every beautiful detail! 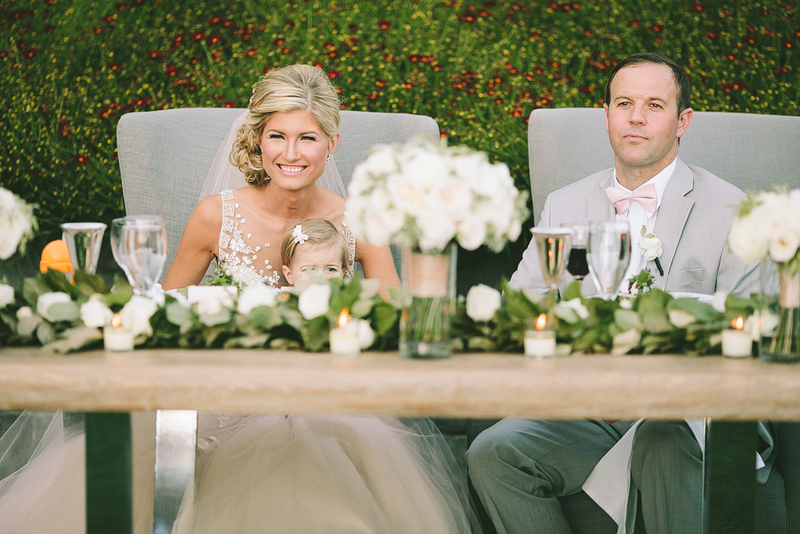 Hailey with Zest Floral and Event Design did the gorgeous florals and floral garland on the head table. 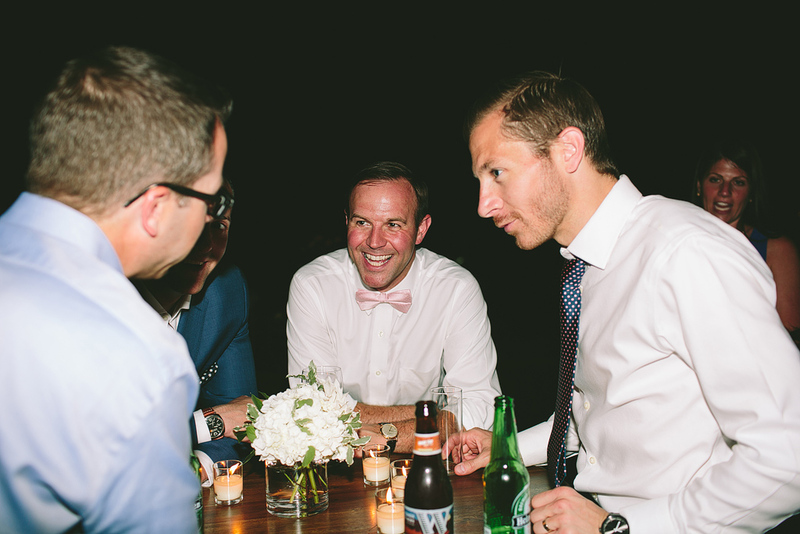 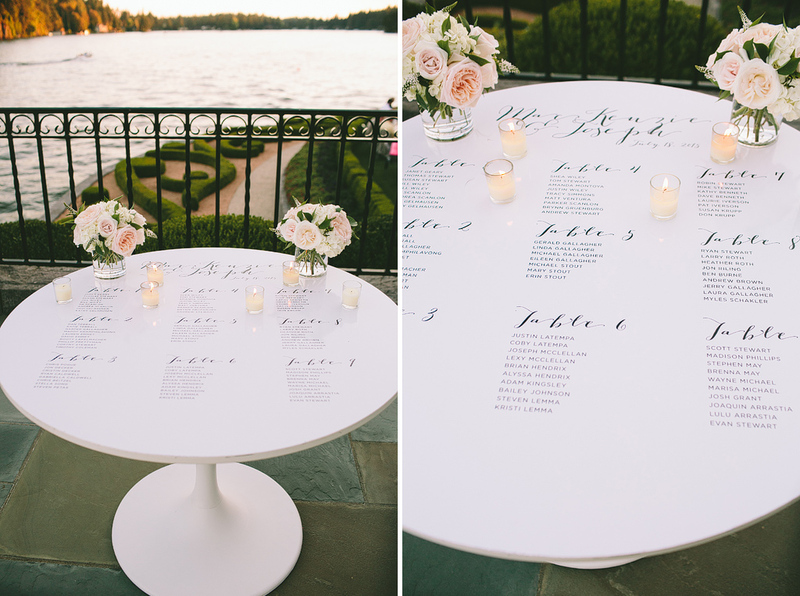 Their guest seating chart was so unique and awesome – it was embossed into a mid century style table. 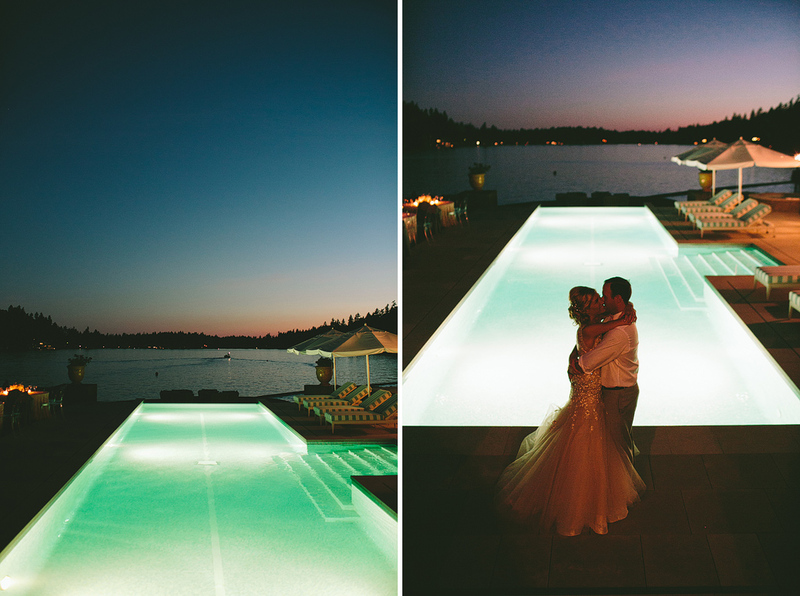 The toasts were so sweet, and sunset came at the perfect time during their cake cutting and first dances.